capic, 17 Jun 2014how to fix music sound.like speaker damage when open more than halfMost of us have this problem with the speaker. Try to adjust the equalizer in the music player. AnonD-274556, 17 Jun 2014How to solve a859 clock always freeze...Go to settings>Date and time>Disable both Automatic date and time option and Automatic time zone option. I had the same problem last week now it is working fine. hai..just want to ask about personal hotspot..i'm using lenovo a859 for 3 month already..when i turn on personal hotspot it's only can last for about 15 min to 1 hour..then it will auto turn off..so i have to turn it on back everytime i lost connection..anybody know's why?? khan, 12 Jun 2014hey guys, is this phone durable enough to last..?? how is the build quality?? it is available... moreWhen looking at the models from brands. Sony offers Xperia L, Xperia M. Both are not-so-good mobiles in specifications and battery. Outdated performance and processors. Samsung provides us with Core duos, Grand neo, Grand Quattro. Personally I don't like these childish ones. LG has a good model to deliver that is the L90, simply updated version with stunning looks and features. L70, L80 are some other models which come under 16k. HTC has some models too to show us. Alas Old but still powerful, The Nokia. Lumia models are quite good, fast and easiness are there show stoppers. There are various models other than the ones I mentioned here which can outperform the above under 16k price range. khan, 12 Jun 2014hey guys, is this phone durable enough to last..?? how is the build quality?? 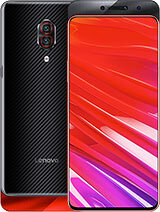 it is available... moreThis model is good in terms of the outside build quality and the specifications it packs inside. Of course it's a durable handset that you could easily have a look into. 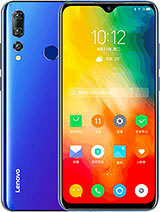 Other than this model Lenovo itself showcased and released a few models in this price range like the S660 which packs a huge 3000mAh battery for a long standby. Unlike A859 all the specifications are watered down in this model. Then comes P780, S920,S820 all these are old models, not very old like the 4s. You have a vast choice of mobiles from Indian manufactures too like the ones from MMX, Karbonn, Xolo, Lava, Wickedleak etc. The hierarchy shows the durability and service they offers too. 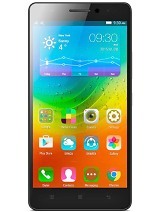 MMX releases a bunch of mobiles in this price range with some slight variation in specifications. 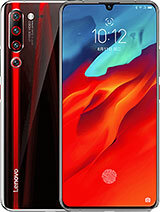 If you have time take a look into the models from Gionne, Alcatel, Huawei too. 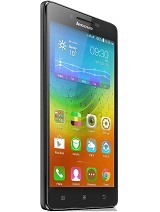 Recently Alcatel launched Idol octacore model in flipkart(not sure). The phone is simply awesome. AnonD-273527, 13 Jun 2014Why youtube video is laggy????Hi! Roxr Gempak, I believe most of new phones today have the new version of youtube which is laggy 'cause it is whats on the google playstore today. Try to download Tubemate on the browser or in the playstore click opera as the downloader. It is way better than the default youtube on the phone just click 640x before watching videos. You can also download all videos from youtube on Tubemate and their audio as mp3. Hope it helps you or if there's a way where you can download the older version of youtube on the internet then do it. Please let us know if you have found the older version of youtube 'cause I believe a lot of us want it for quick playing of youtube videos. When looking at the models from brands. Sony offers Xperia L, Xperia M. Both are not-so-good mobiles in specifications and battery. Outdated performance and processors. Samsung provides us with Core duos, Grand neo, Grand Quattro. Personally I don't like these childish ones. LG has a good model to deliver that is the L90, simply updated version with stunning looks and features. L70, L80 are some other models which come under 16k. how to change language from arabic to english? AnonD-273527, 13 Jun 2014How to set apps to be installed in sd Card?? ?Please reply ASAPChange the default write disk settings to SD card under storage settings. The first one under storage settings. 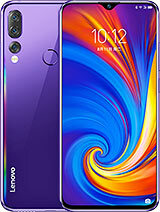 alex, 12 Jun 2014Hey guys I m in love with this fone but facing issues regarding internet in fact I have a Voda... morealex .. 1st confirm that in sim 1 u have inserted vodafone card with 3g internet pack active.